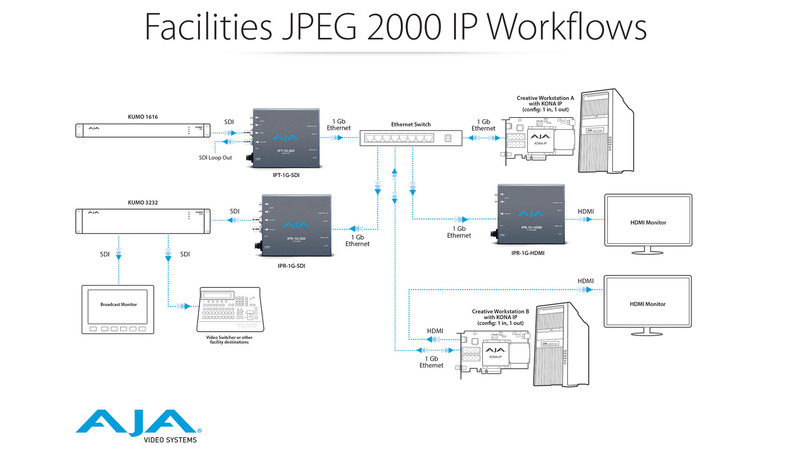 Bridging from SDI Video and Audio to TR-01 Compliant JPEG 2000 over IP, the IPT-1G-SDI is a 3G-SDI to VSF TR-01 (and other JPEG 2000 formats) converter suited for video ingest from SDI based cameras, routers and digital recorders and players and distribution across an IP network for feeding to IPR-1G-SDI, IPR-1G-HDMI or KONA IP receivers. IPT-1G-SDI provides two key ports for control. The Control LAN Ethernet port enables control of the Mini-Converter from web browsers on any platform and REST clients. The USB 2.0 mini connector facilitates quick and simple firmware updates. 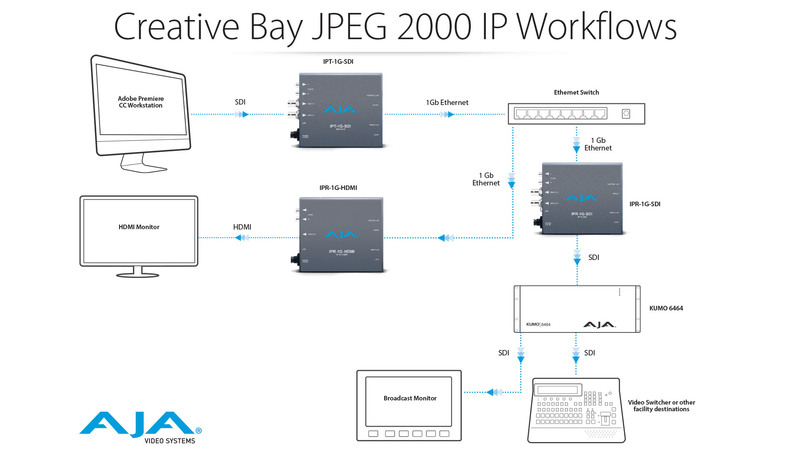 IPT-1G-SDI partners with AJA IPR Mini-Converter receivers and KONA IP for use in desktop workstations for reach throughout a facility or organization, local or remote. IPT-1G-SDI partners with AJA IPR Mini-Converter receivers and KONA IP for use in desktop workstations and simple expansion to other devices, displays and more over IP.